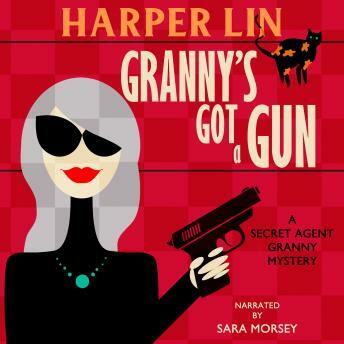 Listen to "Granny's Got a Gun: Book 1 of the Secret Agent Granny Mysteries" on your iOS and Android device. Barbara Gold, a retired CIA agent, is bored out of her skull in Cheerville, a small town in New England-until a man is poisoned during a book club meeting for seniors. Everyone thinks Lucien had a heart attack, but from his symptoms, Barbara knows someone has slipped poisoned into his cake or drink. Even though she is no longer under cover, Barbara feels as if she's only playing the part of a sweet grandmother, but this may just be her most useful cover yet. The clock ticks as she investigates who in the Cheerville Active Readers' Society would want Lucien dead. It's only a matter of time before his death is declared murder and the police start hounding everyone.